The Ragged School Museum is housed in a group of three canalside buildings which once formed the largest “ragged” or free school in London. 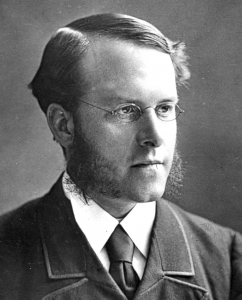 When Thomas Barnardo came to London from his home city of Dublin in 1866, intending to train as a doctor and then become a missionary in China, he was confronted by a city where disease was rife, poverty and overcrowding endemic and educational opportunities for the poor were non-existent. He watched helplessly as a cholera epidemic swept through the East End, leaving over 3,000 Londoners dead and many destitute. He gave up his medical training to pursue his local missionary works and in 1867 opened his first “ragged school” where children could gain a free basic education. 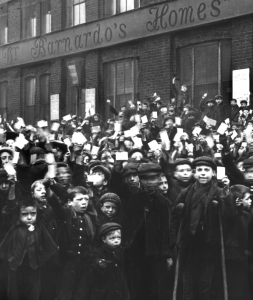 Ten years later, Barnardo’s Copperfield Road Free School opened its doors to children and for the next thirty-one years educated tens of thousands of children. It closed in 1908 by which time enough government schools had opened in the area to serve the needs of local families. The buildings, originally warehouses for goods transported along the Regent’s Canal, then went through a variety of industrial uses until, in the early 1980s, they were threatened with demolition. It was then that a group of local people joined together to save them and reclaim their unique heritage. The Ragged School Museum Trust was set up and the museum opened in 1990. The museum was founded to make the history of the Ragged Schools and the broader social history of the Victorian East End accessible to all. Within the original buildings, an authentic Victorian Classroom has been set up where each year some 16,000 children experience a school lesson as it would have been taught more than 100 years ago. We have also recreated a Victorian East End Kitchen from the 1900s, demonstrating what life would have been like in a simple, one-room home with no electricity or running water. The museum has several gallery areas, a reconstructed Victorian Classroom and a Victorian East End Kitchen displaying its own collection of historical objects, all designed for hands-on inspection. This is a museum where you can sit at the school desks, use the tin bath and experience what life was like for the Victorian poor of the East End of London.